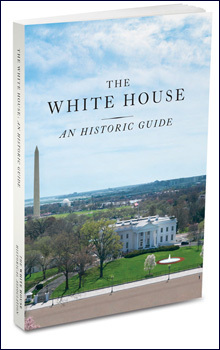 I got an e-mail notice today that the new An Historic Guide is available, so I ordered mine. It’s been available for a little while, but I just got the notice. I’m looking forward to official pics of the new Press Briefing Room and the walk-thru of the exterior, but I don’t think it will be all that amazing. I do recommend the White House History books tho. They’re wonderful.